These African flowers are a delight and make spectacular quilts! 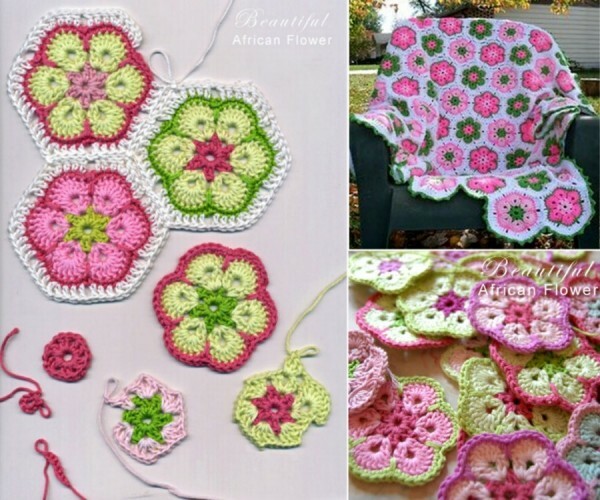 If you also enjoy this kind of crochet see how you can make these flowers and make your own colorful blanket! 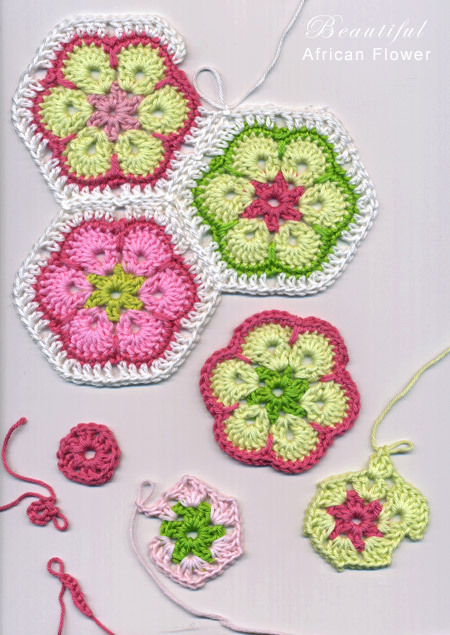 Each flower has a diameter of 7cm [2 3/4″] (excluding the white border) if using the yarn stated below. 1. Yarn, acrylic baby yarn, various colors. Mia used Tilda, Svarta Faret brand. Base Round – sl knot, ch 6, ss into first ch to make a ring. Rnd 2 – Change color: Start in a space. ch 5, 2 dc in same space, *ch1, 2 dc, ch2, 2 dc in next space – repeat * 5 times, 1 dc and ss into the 3rd ch of the beginning round. Rnd 4 – New color: ch1, sc around and make a long stitch down in round 2 between each flower petal. End with ss. fo. To join to the adjacent African Flower hexagon block, insert the hook to the matching ch stitch of another hexagon and do a ss instead of ch.